പുതിയ ചിത്രത്തിലേക്കു സ്വാഗതം!from al ain zoo..
i like it.. cool right frame! right tone! Is it Purple-bellied Lory (Lorius hypoinochrous)? Good one sunil, I like the composing. 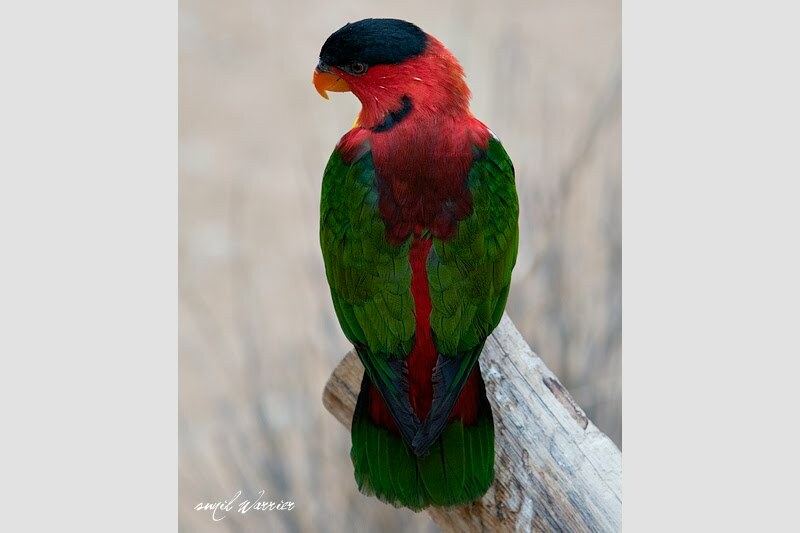 I think this is black capped lory..
Junaith, I'm confused. I had seen Purple bellied Lory in NY (I mean Bronx Zoo). Black capped and Purple bellied are very similar. Please watch these videos too. Sunil, Please excuse off topic(?) discussion. Just curious to know the right name.